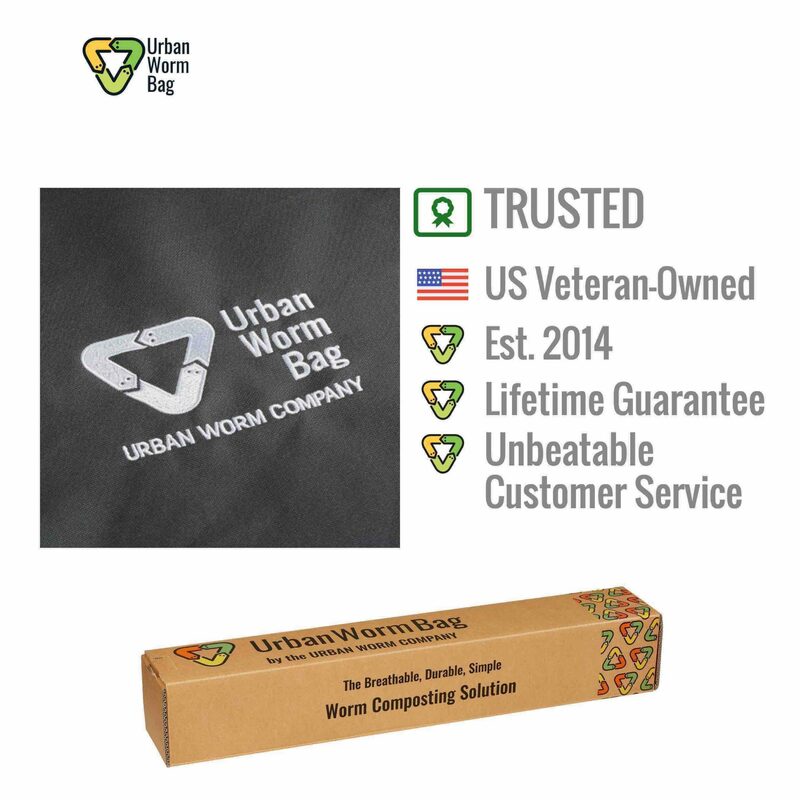 Lifetime warranty guaranteed by the Urban Worm Company. Protects against defects in material and workmanship. You can’t forget the most important part! 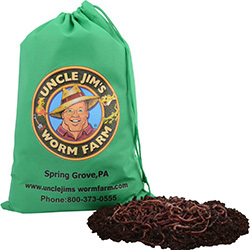 Uncle Jim’s is proud to offer THE DURABLE, BREATHABLE, ATTRACTIVE HOME WORM BIN SOLUTION! Create organic fertilizer inside your home or apartment using nothing more than common household waste like newsprint, cardboard, and food waste. 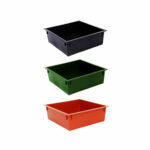 Let composting worms eat the waste you place in the top and you collect the castings from the bottom! Easy peezy and mess free! 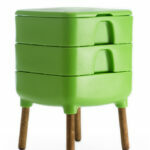 The perfect combination of simplicity, breath-ability, and durability. 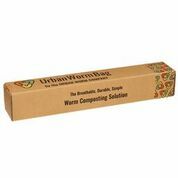 At capacity, your Urban Worm Bag will hold up to 120lbs or more of dense vermicompost with a moisture content of 70-90%. To withstand these conditions, 900D Oxford nylon fabric that won’t rip or abrade, even in the harshest of environments conditions is used on every worm bag. 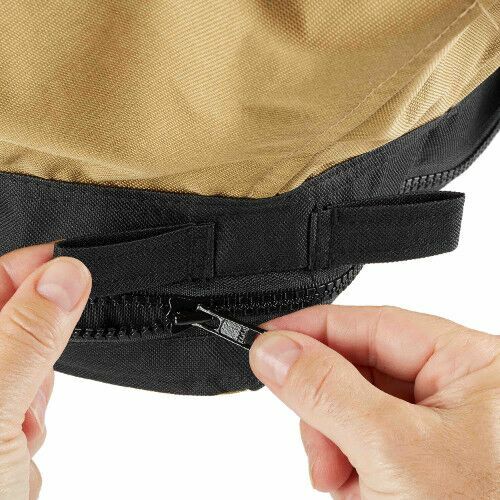 Only the highest-quality, waterproof nylon “overseam” stitching and marine grade zippers are used. MY URBAN WORM BAG IS DRIPPING. WHAT IS HAPPENING? 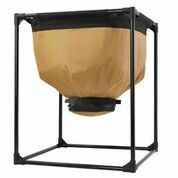 IS THE URBAN WORM BAG RODENT-PROOF? Unfortunately, no. 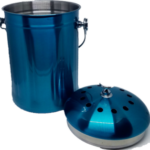 This worm bin should be kept indoors, preferably, and away from rodents who will certainly be able to chew through the fabric. I love this thing. 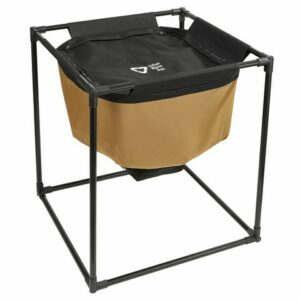 I was worried about getting a fabric bin, but it's worked out great. 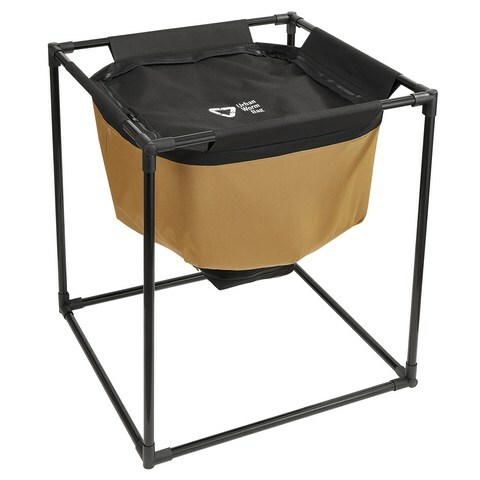 Easy to set up and can be inside without having bad smells linger. I haven't harvested yet, but it seems simple enough. I would recommend this to anyone. 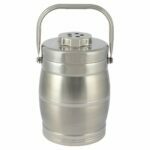 Was looking for a gnat free worm bin. I think I found it, so far so good! This is my first attempt at being a worm farmer and so far it's loads of fun. 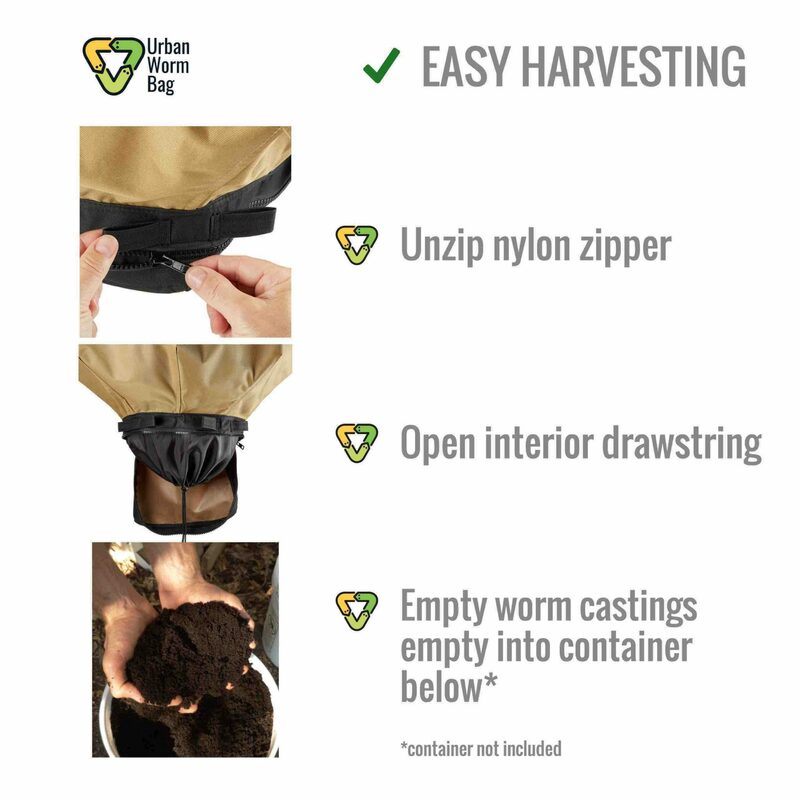 My Urban Worm Bag arrived promptly and was very easy to assemble. The worms are multiplying and thriving. I'm keeping the worm bag in my office and it doesn't swell at all. So far so good!